Not those games, the fun kind. 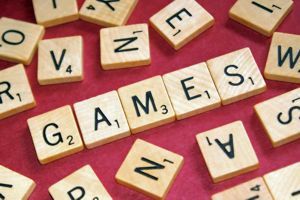 Have board games you like? Bring them! Prefer to watch and tell people what they're doing wrong? Come on down. We welcome snacks and beverages and will try to have some. If you have an allergy to nuts (giggity) let us know. See you soonish. Please note that we will be in a different location! Triangle PLUS is a group designed for HIV+ gay/bi men and their poz-friendly gay/bi male allies in the Triangle area. The primary focus of the group is to foster discussion and fellowship for one another by holding monthly meetings and an array of social activities. The monthly meetings are held at the LGBT Center of Raleigh on the last Sunday of each month from 5:00 - 6:30pm. These meetings cover a variety of topics including disclosure, relationships, mental health, medical care, or whatever happens to be on your mind at that moment. Additionally, we offer a safe space on Facebook via a secret group. Posts from Secret Groups DO NOT display in anyone's timeline that is not a member, but it WILL display in yours since you are a member. The group page is open to anyone who is poz or poz-friendly. Invitation and/or membership does not equal HIV+ status. For those without Facebook, you can join our confidential email list. If you would like to join the group, please contact us at 919-832-4484 or triangleplus@lgbtcenterofraleigh.com. All communications and contact information will remain confidential. You can also see upcoming events on this website.